Son: Kenneth R. Roberts; born Aug 1972, one son; Dakota age 21. Daughter: Erin L. Kelsch, RN; More…born May 2, 1978, married to Sgt. Bernard Kelsch, two daughters, Kendal, age 10 and Shelby Grace, age 8. Hmmm. . . in 8000 characters, okay! I left Kearney in August of 1971. Dad had a Professorship position at a small University in the quaint little town of Montevallo. Alabama Since I thought that I had had enough school and had no plans to go to college, my folks "drug me" with them to the "back-woods" of Alabama. I went to work in this small town where the streets rolled up at 10 pm, for a small Mom & Pop grocery store. The owners had a son who worked at the hardware store down the street and the plot played out just as you would imagine... we got married, had beautiful baby boy (Kenneth, Jr.) I then caught dear hubby in the "arms" of another; divorced his cheatin' behind and decided that maybe I wasn't quite as smart as I thought I was. Perhaps I did need more schoolin'. (duh) I enrolled in the University of Montevallo where Communications/Public Speaking was my major. As a member of the college's debate/forensic speaking team, I participated as a pentathlon entrant in the National Collegiate Public Speaking Finals two of the three years I attended Montevallo. Then I transferred to the University of South Alabama, in Mobile to concentrate on the linguistics of speech and colloquial speech patterns. While there I assisted in the development of an audio library for actors and actresses (among others) to use when developing characters requiring regional accents, speech patterns and/or oral idiosyncrasies. At a graduation party, I met a man whom I shortly thereafter married. We have two lovely daughters (Erin Leigh and Jacqueline Nicole.) We remained married for 23 years. I decided after many years of tension and stress to leave that union when our children were grown, so in 2000 I was again on my own. Through mutual friends, I met and married my soul mate in 2002. We lived a fairy-tale, storybook life for the next three years. Subsequently without warning or any prior illness my love was taken from me in five short months by renal cell carcinoma. I've had an extremely varied career history and when y'all read this you will most likely think that I am telling a tall tale -- but, it is true. I was a police radio dispatcher when the City of Mobile offered me a position on the police force, so I went through the police academy in 1985, graduated 2nd in the class and was the only female officer who made it through. Law enforcement is a hard career on most officers and their families, but it was especially hard on a mother of three. When my husband accepted a teaching position in Huntsville, AL, we left south Alabama and I left law enforcement. I obtained a job with the Huntsville City Schools which allowed me to end my work day when my children's school day ended, never working on the weekend or during the summer (of course the pay was miserly but the perks were great! ;-) I stayed there for 11 years. I've worked for ASCAP in their copyright licensing division. I've been an administrative assistant for a non-profit agency and the editor of their monthly magazine. I am now employed part time by Macy's just to keep from sitting at home and losing my mind! Well, that is it. Not as concisely or succinctly as it might have been, but it's all there (I think.) I hope to hear from acquaintances and friends from KHS. I know that we have all changed over the years and people who were not close friends or even friendly back then may now look at each with a new vision, at least I hope so. I really look forward with anticipation to finding out what my fellow graduates are doing! January 4, the man (Tom Voorhies) whom I had dated, then lived with, loved and cared for died in a home accident. He had been sick for years with chronic pancreatitis and had developed blood clots several years ago. The blood clots required him to take blood thinners... unfortunately a fall in our home resulted in his death. All I can say at this time is that my loss is his gain. I know that he is no longer in pain and is a far better place. I have moved to a small town just 20 minutes south of Savannah, GA and am living with my daughter and her family. I will (with time) put my life back together. I've moved again. I decided that since my mother is in such good health that it would be wonderful to be able to enjoy her before we didn't have that option. So here I am in Pembroke Pines, FL (Just north of Miami and south of Ft. Lauderdale) I haven't been here long but we've already been to a musical show and a movie. Much more good times to come. I am still about the same distance from my daughter (in Savannah, GA) and my beautiful granddaughters so that is another blessing. Eh - what can I say? I was young and dumb. I can thank Mrs. Connie Francis and Mr. Bjorklund for instilling my love of the spoken word. I had the pleasure of competing in and winning a number of public speaking events during my high school and college career. They got me started down that road. Otherwise, my high school days consisted more of asking for the keys to Frank Schickendanz's car to go get lunch. Using Ms. Penny Wright's car to "sell ads" for the Echo and figuring out how to have a lot more fun than I should have and a lot less than most people thought that I did! 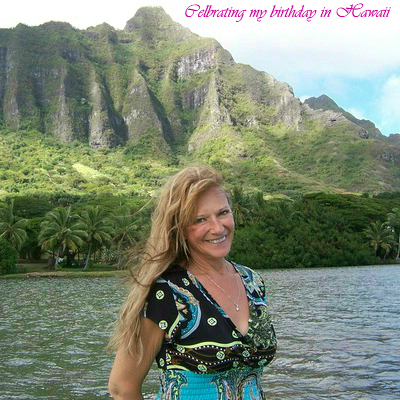 Pam Kunkel Ryan has a birthday today. Pam Kunkel Ryan posted a message. Sending you wishes for a very Happy Birthday! Pam Kunkel Ryan changed her "Then" picture. Pam Kunkel Ryan added a comment on her Profile. Pam Kunkel Ryan has a birthday today. New comment added. Pam Kunkel Ryan updated her profile. View. Happy Belated Birthday, Sis! Hope that you're not freezing up there and that your special day was wonderful. Love You. Pam Kunkel Ryan added a photo to her profile gallery. New comment added. Pam Kunkel Ryan posted a message. New comment added. Another very Happy Birthday to you Roger. I hope that you had a fabulous day. Sending wishes for a Happy Birthday your way. Happy Birthday, Jim. I hope that your special day is wonderful. Happy Birthday! I hope that it is the beginning of another great year for you!